Daylight visible dredge status lights can be seen from a distance; in full sunlight. When electrical power has energized the dredge. When the operator has control of the dredge. When the dredge motors are on. When there is a fault. At a large site there are often many radios functioning. Frequency hopping means that the radio will not conflict or be conflicted by other radios on the site. Dredge shuts down on the loss of radio communication between the radio transmitter and the dredge. The operator always has control. Rechargeable batteries that last for a minimum of 8 hours of continuous use. Tough plastic housing made for industrial and construction environments. Automatic dredging capabilities include multiple passes at varying depths. Increased number of dredge data feedback points. 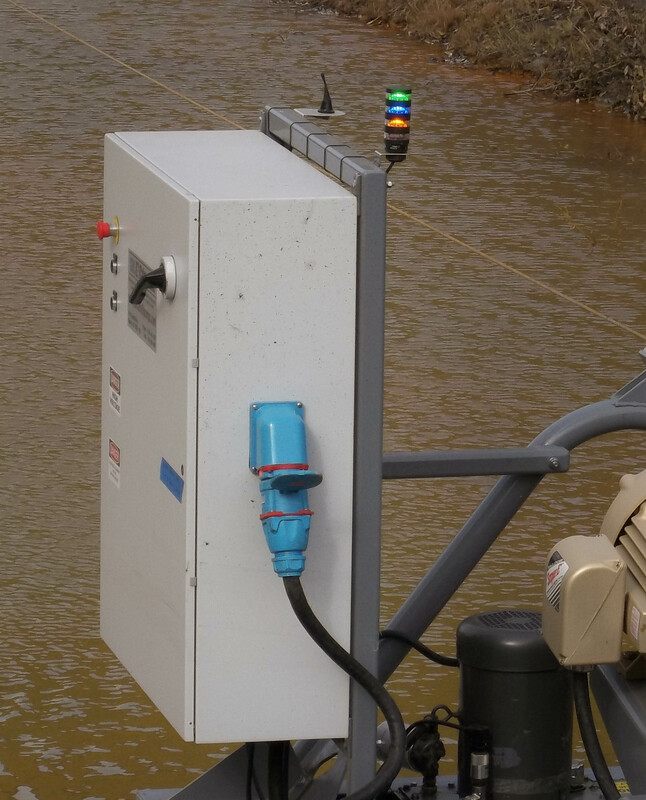 Integration with off dredge sensors, controls, and plant SCADA systems. Automatic control and monitoring of dredge operation. Allen Bradley PLC for dredge control and integration into plant SCADA systems. All control voltages are 24 VDC. 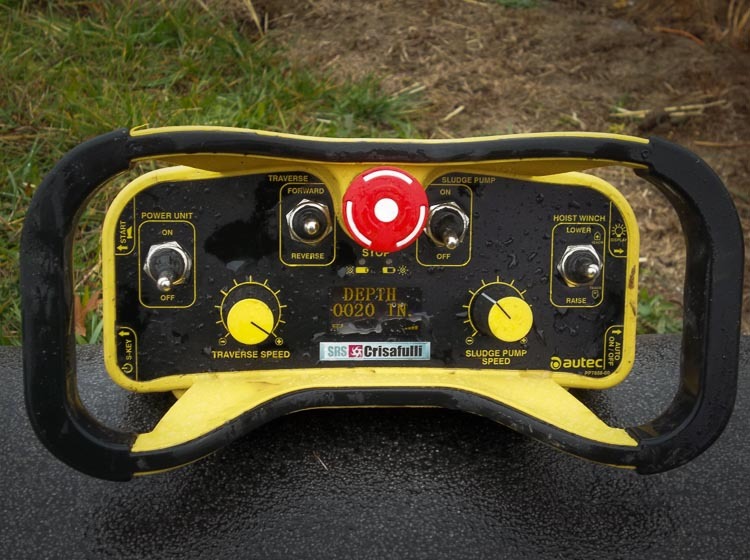 Dredge level sensors detect when the dredge is tipping are especially useful if the dredge is operating without an attendant.